Rise of Olympus is an epic adventure slot with a Greek Mythology theme from the creative studios of Playˈn Go. This 5×5 slot is loaded with features that will have you entertained for hours, plus with the option to win up to 5,000X your bet, there is some serious cash to be won! Let’s join the Greek gods, Hades, Poseidon and Zeus to take a closer look at what Rise of Olympus slot has to offer. As the game loads, its Greek theme is apparent and standing watch over the game on the right-hand side of the reels is Zeus. Something you will notice immediately is that this game does not use traditional reels and instead employs a 5×5 grid where clusters of symbols form winning combinations. The graphics are crisp and the soundtrack, with its Greek feel, compliments this slot game perfectly. Getting the action started is as easy as selecting a bet size and hitting the Spin button. The bet amount is applied across the whole game. As you press the Spin button, a set of 25 symbols fall into place. If there are winning combinations, the winnings are paid and the symbols that made up the combination fall away, and the symbols above fall down into the open spaces. The process continues until there are no more winning combinations. On the upper, left-hand side, each time you have a winning combination, it will show there plus, the win multiplier increases by 1X for every successive win. Once there are no more winning combinations, the multiplier resets. A unique and special feature that takes places during the base game is the “Hand of God” feature. This feature is triggered randomly on non-winning spins. Each of the three Greek Gods takes a turn with their unique power to help you create winning combinations. Hades – He will transform one set of symbols into another to increase your chances of a combination. 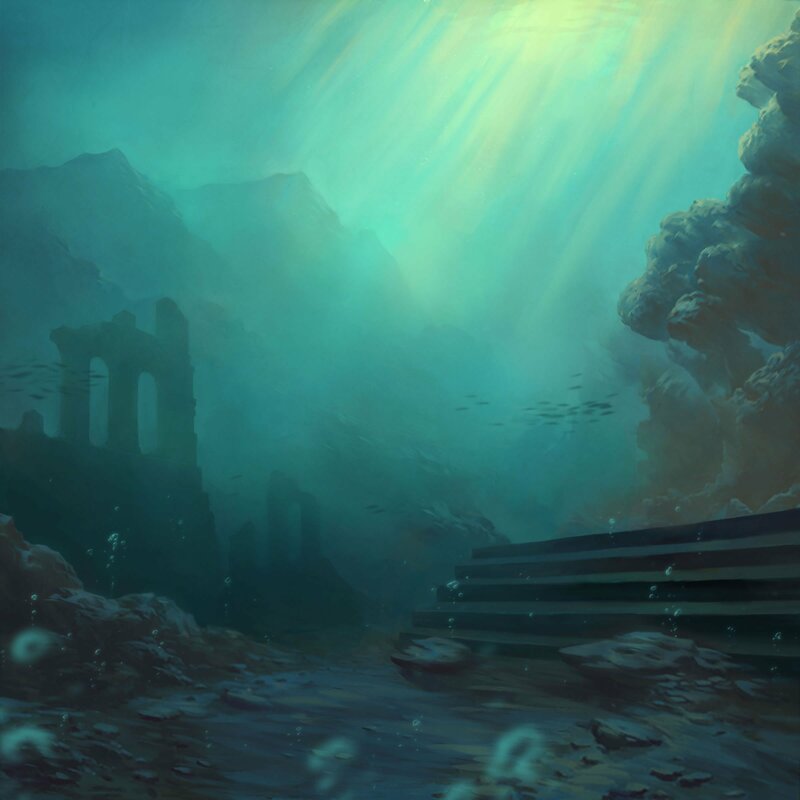 Poseidon – He will award you up to 2 wilds randomly on the reels. Zeus – He destroys two sets of any symbols. The other feature to watch out for in the base game is Wrath of Olympus. On the left of the reels is what appears to be a meter, which charges up each time you get a winning combination, with one of the gods in it. Once the meter is fully charged, the Gods take turns performing their Hand of God features to help create even more winning combos. The rise of Olympus video slot includes 8 symbols. The most valuable are God symbols of Zeus, Poseidon, and Hades. There is also a wild which looks like a golden shield with a Pegasus on it. The wild also happens to pay the most. What is interesting to note is that you can also form combinations with different Gods, i.e. you can have 1 of each God in a combination and it will also payout. The lower value symbols include a helmet, lightning bolt, harp and trident. Rise of Olympus does not offer a dedicated bonus round, such as picking hidden treasure chests or revealing hidden coins etc. The main features of the game, as described above, are the Wrath of Olympus and Wrath of Olympus. If you are fortunate enough to clear the grid in the main game, the free spins feature is activated. Here you have to choose one of the God’s free spins options. Each God offers a different number of spins and applies their Hand of God power to any non-winning free spins. Hades awards players with 4 free spins; Poseidon God symbol provides 5 free spins and the Zeus symbol ensures 8 free spins for players. Tip: Selecting fewer free spins is riskier but offers higher winnings potential. The multiplier does not reset between free spins and can grow up to 20X. Plus, if you charge up the meter, you will get rewarded with additional free spins up to a maximum of 20. Note that the Wrath of Olympus feature is not active during the free spins. Rise of Olympus does not offer any fixed jackpot or progressive jackpot. Don’t let that put you off, because with the various features and multipliers, there are still some huge sums to be won. Rise of Olympus does not have paylines but uses a 5×5 grid that pays for clusters of 3 or more symbols, either horizontally, vertically or both. The minimum bet is 0.20 coins up to 100 coins. 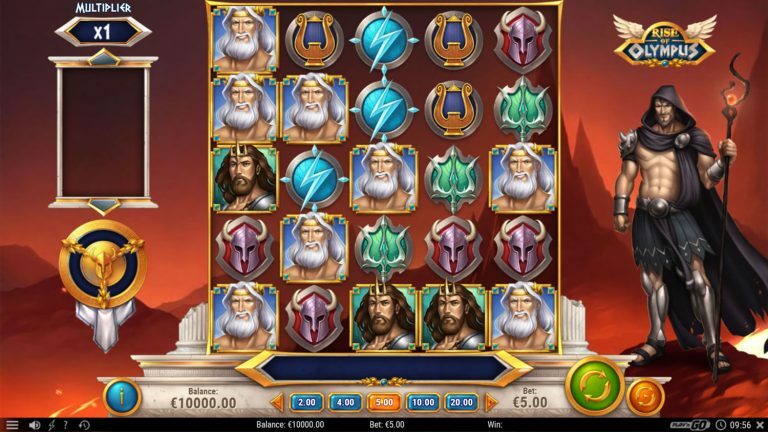 Play Rise of Olympus slot and enjoy a generous return to player rate of 96.5 %. This slot has a high volatility, and as the expression goes: The higher the risk, the higher the reward. Rise of Olympus is a fantastic action slot game. Everything from the theme to symbols are perfectly matched and provide for some great gameplay. The game can be enjoyed on your mobile phone, desktop or tablet device. Probably one of the best features is the Hand of God, which really adds some spice to the base game. It’s time to take your place on Mount Olympus with the Gods. Play Rise of Olympus right now at Dunder.